The blog is dead. Long live the blog — The Pittsford Perennialist. 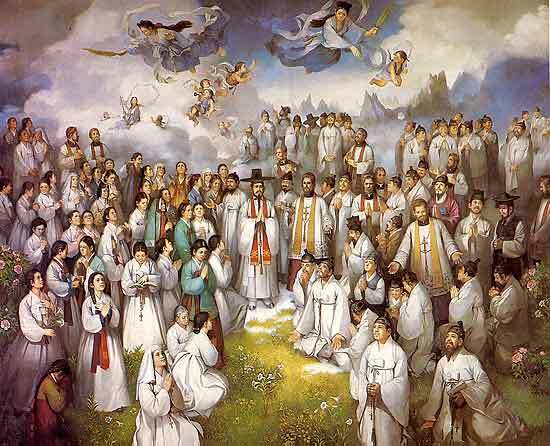 Today's Feast of the Assumption (Marymass) coincides with Korea's Gwangbokjeol, as it does every year. 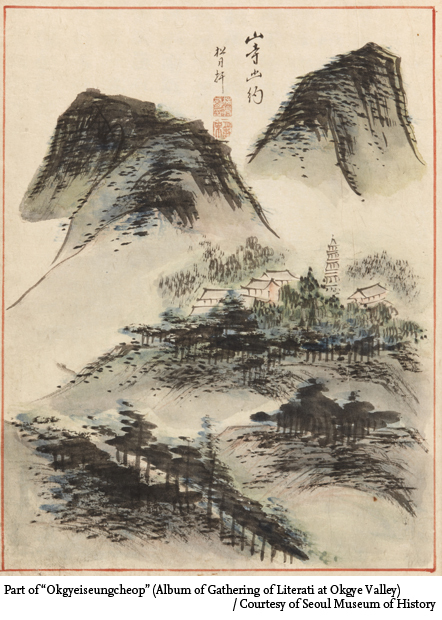 GI Korea posts the aobe image as part of his latest travelogue — Hiking In Korea: Yeoninsan Mountain (연인산). I do not know whether the church is Catholic, Protestant, or Anglican, but I do know that if I chanced upon it I would stop in an offer a prayer. One of the things I will miss most about Korea is the hiking. 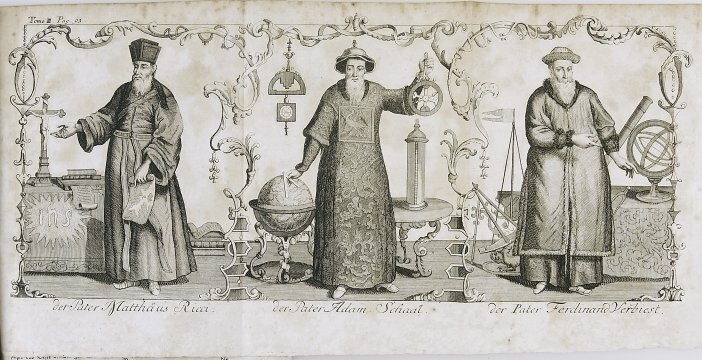 Elena Maria Vidal introduces us to the above — Marie-Antoinette's Chinese Pavilion. "Richard Spencer has compiled a useful list of flash mob violence," says Foseti in linking to the former's suggestion that "it's getting worser, a littler worser, all the time..." — The Flash Mob Phenomenon. Casa Santa Lidia links to an article delineating how "[l]a importancia de reconocer los límites del método científico, que impide a la ciencia experimental tratar realidades no cuantificables, ha sido expuesta como una de las principales aportaciones del sacerdote y físico Stanley Jaki" — Reconocer los límites del método científico, herencia del padre Jaki. Strange, isn't it, how those who believe our human reason to be the result of random chemical interactions also believe that this same unaided human reason is capable of absolute knowledge? "The materialists are offensive to me in many respects; their doctrines I hold to be pernicious, and I am disgusted at their arrogance," wrote Alexis de Tocqueville. "If their system could be of any utility to man, it would seem to be by giving him a modest opinion of himself; but these reasoners show that it is not so; and when they think they have said enough to prove that they are brutes, they appear as proud as if they had demonstrated that they are gods." Gloria Steinem Right About Korea's "Island of Women"
Asia Times Online's John Eperjesi hails Paul Yoon's Once the Shore "fictionalized version of Jeju Island [that] deals with the devastating impact of militarism, colonialism, and the cold war on a rugged island culture" as a vision of an "Oceania from below, an island multitude composed of service workers, farmers, divers, fishermen, war orphans, and various others who form strange friendships across barriers of age, gender, ethnicity, and nationality" — Jeju: From peace island to war island. "The relevance of Yoon's stories to the real Jeju Island has recently intensified as concrete has begun to pour on coral reefs to make way for an 'eco-friendly' military base for South Korea's expanding blue water navy," which, the author notes, "may also provide 'lily pad' support for the United States Navy." He also notes that "peace activists from all over the world have begun to lend their support, most notably feminist writer Gloria Steinem," who is quoted as rightly saying, "Jeju Island means Women's Island. It stands for an ancient balance. We must save it from the cult of militarism that endangers us all, women and men." The Maryknoll Fathers and Brothers on Women's "Ordination"
The missionary society that planted the seeds of Catholicism both in me (through Orbis Books) and throughout much of Asia, has ruled — Maryknoll order to dismiss priest who advocates women’s ordination. In the top photo, "Shin Se-kyung poses on the set of her new TV drama at Gyeongbok Palace in Seoul on Tuesday" — Today's Photo: August 10, 2011. The bottom photo also pictures Miss Shin. Things sure have changed since I got here. Well, I haven't been here that long, but almost that long. Either things have changed or I have. Probably a bit of both. Holy minimalism! Normally, I'd save this modern-day masterpiece for Friday, when the Little Office of the Blessed Virgin Mary has us contemplate the Sorrowful Mother, but I will be leaving for America that day. So I'll post it today, Tuesday, when the Most Holy Rosary of the Blessed Virgin Mary has us contemplate the Sorrowful Mysteries. 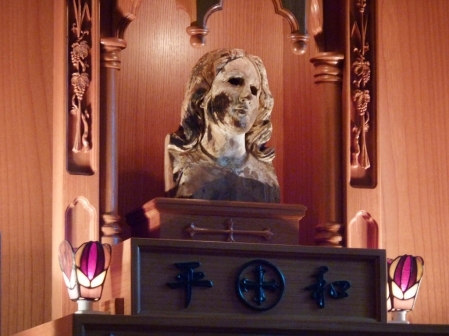 The Mary Page has some background from Father Kaemon Noguchi and Sister Luca Maria Ritsuko Oka respectively — What is the story of the "Bombed" Mary, a Marian Statue in Urakami, Japan? and The Motherly Presence of the Virgin Mary in the Local Church of Nagasaki. The priest tells us that "the image came to Urakami Cathedral in the 1930s from Italy, being a carved wood carving" and "is based on the painting by the Spanish painter, Bartoleme Esteban Murillo (1618-1682) of the Immaculate Conception motif." 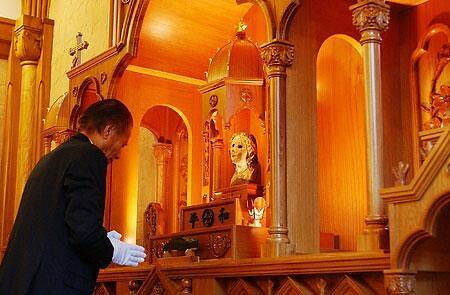 Noting that "a lot of people felt affection towards the image of Mary," he recounts, "During the atomic bombing of Nagasaki, two priests and about thirty Roman Catholics were in the old Urakami Chapel for confession. The bomb killed these people and destroyed many holy tools, stone images and the image of the Immaculate Mary--all at the same time." The nun writes, "In the history of Japanese Christianity, the church of Nagasaki has a peculiar role: not only for being the original place of Christianity in Japan, but also for being a witness of its faith, hope and peace, especially in its difficult and painful moments. 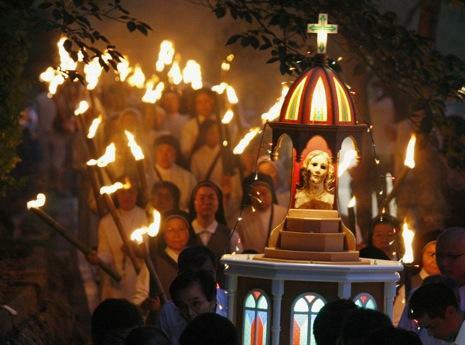 One of the characteristics of the Christian community of Nagasaki, we can say, is the sincere and filial veneration towards the Mother of God." The use of formulations like “Japan started the war” helps to evade all the relevant moral questions; if “Japan” started it, can “Japan” be laid waste? Their political class makes an idiotic and suicidal military move, so every single three-year-old in the country becomes subject to bombing, poisoning, being burned or buried alive, etc.? At what point do we start questioning the logic of this, instead of formulating all our arguments as if this were simply an obvious moral given? Instead of asking these hard questions, the kind of questions we are trained from early childhood not to ask, indeed not even to be intellectually equipped to formulate, NCR gives us a collectivist propaganda piece. Anyone who criticizes the decision to drop the bomb is trying to “defame our country” (again, in classic neocon style, conflating the decisions of a small circle of officials with “our country”). I guess the editor of the Paulist Catholic World was trying to “defame our country”? Or how about L’Osservatore Romano, which also criticized the bombings? Or the great Catholic philosopher G.E.M. Anscombe? Or even Pat Buchanan, who denounces the bombings as acts of barbarism? I once brought up Mr. Buchanan's opposition to the a-bombings in a conversation with two left-liberals, expecting them to find something in common with a man demonized by the media as a "hate-monger." Boy, was I wrong. Instead, I was treated to a regurgitation of the tired propaganda. Here's an old, quote-laden post of mine, countering such left-liberal nonsense — Old Rightist Voices Against Atomic Mass Murder. Ray McGovern minces no words — They Died in Vain; Deal With It. "The tragic loss of American lives might be worth the sacrifice if it was making America safer, or if our presence was significantly improving the well-being of the Afghan people," agrees Medea Benjamin, noting, "But neither of these is true" — Stop Sacrificing US Soldiers for Afghan Debacle. They are writing about these poor souls the powers that be want you to forget — US bars media from covering return of 30 dead soldiers killed in Afghanistan — but what they say is also true of the 5,491 Americans expended thus far in the Global War on Terror. Wei Jingshengsays that "many 'patriotic' angry Chinese youths feel triumphant" but that "the dreams of a fool's paradise by these angry youths are not as great as they seem" — The West is a Chinese colony. But this will collapse. Wang Zhicheng reports on "harsh commentaries about US politicians, their useless democracy, and US military adventurism" (when you're right, you're right) and also the "fear that, as the US dollar goes, so will China with its US$ 1.16 trillion in US treasury bills" — China sees its own downfall as US credit enters twilight. Looks like the Four Asian Tigers and the Tiger Cub Economies will be dragged down, too — Asia stock markets plummet amid fears of new global crisis. The limited nature of organic change has been common knowledge among farmers and breeders for centuries. You can breed for faster horses or larger apples, but eventually you reach a boundary that cannot be crossed, no matter how intensively you continue the breeding program. A horse will never be as fast as a cheetah, or an apple as large as a pumpkin. What's more, as you approach the boundary, organisms become progressively weaker and more prone to disease, until eventually they become sterile and die out. This has been the bane of breeding efforts since the dawn of time. Luther Burbank, possibly the most famous breeder of all times, suggested that there might even be a natural law that "keeps all living things within some more or less fixed limitations." So wrote Nancy Pearcey in Total Truth: Liberating Christianity from Its Cultural Captivity, a passage that came to mind reading Daniel Nichol's post — Classic Plant Breeding Bests Genetic Engineering. 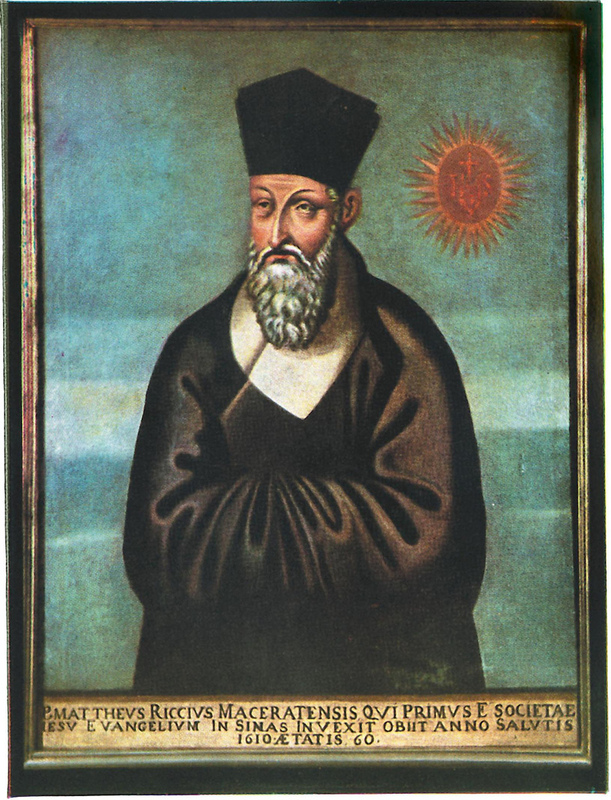 "And therefore God created only one single man, not, certainly, that he might be a solitary bereft of all society, but that by this means the unity of society and the bond of concord might be more effectually commended to him, men being bound together not only by similarity of nature, but by family affection," quotes Bonald — Saint Augustine on the unity of the human race in Adam. "During the late 1920s and early 1930s, John T. Flynn made a name for himself as a liberal—perhaps even radical—expert on economics," notes John E. Moser, later continuing, "By the late 1940s he was closely identified with forces on the fringes of American conservatism, and indeed by the late 1950s he had come to embrace an agenda that included abolition of the income tax and complete withdrawal from the United Nations" — The Ideological Odyssey of John T. Flynn. "Flynn did not abandon all of his earlier views," writes Prof. Moser. "To the end of his life he would retain an innate hostility toward defense spending and overseas military action, even when the communists were the enemy. The communist threat to America, he believed, was primarily moral and intellectual; the war was to be fought in print and in the schools, not in Europe and Asia." A story that "has caused a huge stir, with many netizens and bloggers demanding a thorough investigation" — 'Fetus drugs' from China sold here as tonics: report. "It Wasn't Necessary to Hit Them With That Awful Thing"
Thus spake Ike, quoted here in CounterPuncherer Gar Alperovitz's reminder that "increasing numbers of historians now recognize the United States did not need to use the atomic bomb to end the war against Japan in 1945," that "this essential judgment was expressed by the vast majority of top American military leaders in all three services in the years after the war ended," and that "leading conservatives were far more outspoken in challenging the decision as unjustified and immoral than American liberals in the years following World War II" — The Decision to Bomb Hiroshima. David Swanson of War Is A Crime.org writes, "When Truman lied to America that Hiroshima was a military base rather than a city full of civilians, people no doubt wanted to believe him" — Truman Lied, Hundreds of Thousands Died. "Who would want the shame of belonging to the nation that commits a whole new kind of atrocity?" "Truman indeed knew Japan’s surrender was imminent, according to now declassified records," writes Common Dreams' Mark T. Harris, suggesting that "if nuclear weapons were unnecessary to end the war, they did send a forceful global message about which country would dominate the post-war era," meaning "the dead and victimized of Hiroshima and Nagasaki were not only the last casualties of World War II, but also the first casualties of the Cold War" — Planet Hiroshima 2011. On Fridays, the Little Office of the Blessed Virgin Mary has us contemplate the Sorrowful Mother. Also appropritate is this — Threnody to The Victims of Hiroshima by Krzysztof Penderecki. "The deployment of the nuclear weapons in 1945 remains a defeat for humanity," reads Pax Christi International's statement — World remembers Hiroshima and Nagasaki. LewRockwell.com's John V. Denson explodes "the 'patriotic' political myth that the dropping of the two atomic bombs on Japan in August of 1945 caused them to surrender, and thereby saved the lives of anywhere from five hundred thousand to one million American soldiers, who did not have to invade the islands" — The Hiroshima Myth. Nick Turse reports that a "global presence - in about 60% of the world's nations and far larger than previously acknowledged - provides striking new evidence of a rising clandestine Pentagon power elite waging a secret war in all corners of the world" — A secret war in 120 countries. Needless to say, there are arguments that each of Paul’s alleged deficiencies is actually the correct libertarian position. In this telling, school vouchers are taxpayer subsidies that may end up socializing private schools; “free trade” pacts are really government-managed trade agreements rather than genuine free trade; contemporary mass immigration, as libertarian theorist Hans-Hermann Hoppe has argued, is more akin to forced integration than the free movement of people; the doctrine of incorporation is constitutional buncombe. Factor in Paul’s opposition to abortion and lukewarm stance on gay rights, and Somin’s list becomes the comprehensive case that one kind of libertarian makes for Johnson. Paul supporters have their ideological problems with Johnson as well. The former governor is less antiwar than Paul, leaving the door open to unspecified humanitarian interventions in an interview with the Weekly Standard. Johnson is also less anti-Federal Reserve: he joins Paul in calling for an audit of the central bank but not in proposing its abolition. For many libertarians and constitutional conservatives drawn to Paul, war and the Fed are the preeminent political issues of our time. Johnson has advocated a Steve Forbes-style flat tax, while Paul has joked he would go along if the tax rate was zero. Johnson said in April that he wouldn’t close the prison at Guantanamo Bay. We awoke before dawn, so as to arrive at out 8:00 AM appointment and to secure my wife the visa for which we were told she had been approved. We thought that our documents were in order. We were wrong. Applicant after applicant before us was turned way for having the wrong certificate from the local police. One of Hitlery's minions told us that the certificate asked for was different from the one actually required. For us, there was an added complication. The tax forms that were said to be "required" were optional, whereas the "optional" declaration of assets turned out to be required. We spent the next couple of hours driving around the unfamilar streets of Seoul securing the required documents. We went to two local police stations. The first told us giving the required seal was illegal; the second said that that was nonsense but gave us the wrong document. We hope the right document without the seal and the wrong document with the seal will act together. The private banks were far more helpful, giving us the required documents, with the required English translations and currency conversions, for free. We returned to the embassy a few minutes before closing and submitted our documents. We'll kno9w for sure a day before we travel. 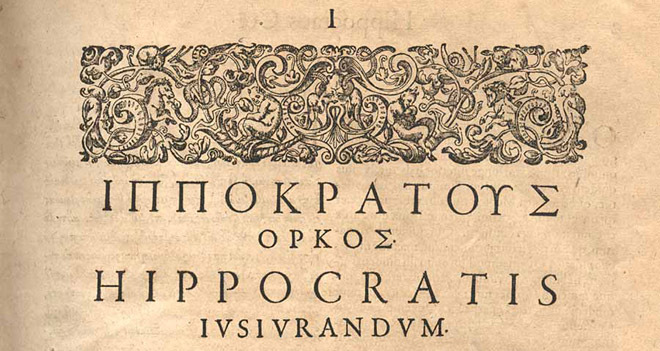 Hippocrates also took a much tougher line on sexual relations with patients. “In every house where I come I will enter only for the good of my patients, keeping myself far from all intentional ill-doing and all seduction and especially from the pleasures of love with women or with men, be they free or slaves.” Only 3 percent of US and Canadian oaths prohibited such contact. Asia Times Online's Raja Murthy reports on "preparation for a record-breaking seven-kilometer mission, bringing humankind's future life underwater into sharper focus" — China's sea dragon and humankind undersea. The Annunciation is Tuesdays' theme while praying the Little Office of the Blessed Virgin Mary. "The Holy Spirit accompanies the voice of the Mother of God and imbues it with His power as Mary mediates, teaches, loves, and protects us," writes Fr. Joseph Homick is Abbot Emeritus of Holy Transfiguration Monastery, the Byzantine-rite Catholic community in Redwood Valley, California — The Voice of the Mother of God. More evidence that the religion as practiced in the East is far different from how it is aped by rich yuppies in the West — Buddhist monks teach maleness to ‘ladyboys’. I had some hope for this AP article written by Jesse Washington — 'Christian terrorist'? Norway case strikes debate. Alas, there article leaves no room for debate. There's no mentions of what a self-described unbelieving "cultural Christian" might be. There's no mention of Anders Behring Breivik's Zionism, or his neo-Paganism. When the 'enemy' is different, an outsider, it's easier to draw quick conclusions, to develop stereotypes. It's simply human nature: There is 'us,' and there is 'them.' But what happens when the enemy looks like us — from the same tradition and belief system? Leaving aside the particulars of Breivik's syncretic belief system, a Christian is not "from the same tradition and belief system" as the average mainstream media journalist. To them, he is every bit "different, an outsider," as were so-called Islamic terrorists (who, like Breivik were furthering political, not religious, goals) to the average neocon pundit. And these left-liberal Christophobes are every bit as small-minded to "draw quick conclusions, to develop stereotypes" as their neocon Islamophobe brethren. Leave it to Steve Sailer, writing for The American Conservative, to set the record straight, arguing, "The Norwegian killer is no Christian fundamentalist but a right-wing imitator of Marx and Lenin" — Breivik’s Brain. The term “jungin” was used around the 17th century, referring broadly to the social strata ranging from translators, doctors, lawyers, accountants, astronomers and painters to librarians, who are now deemed as high-paid professionals. The class also included offspring born of “yangban” (noble class) and their concubines and low-level employees of government offices in Seoul. Mainly it comprised of people in miscellaneous classes barred from obtaining top positions of the mainstream elite. Yet in a narrow sense, “jungin” referred to technicians living in Seoul. They were small in number, but had a great deal of knowledge in art and literature, used refined languages and had economic capability. 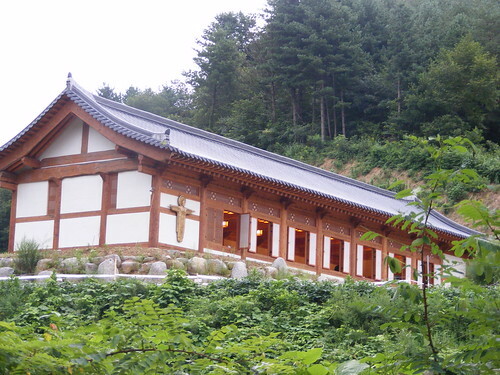 They grew into a major class to represent the culture of the late Joseon period. 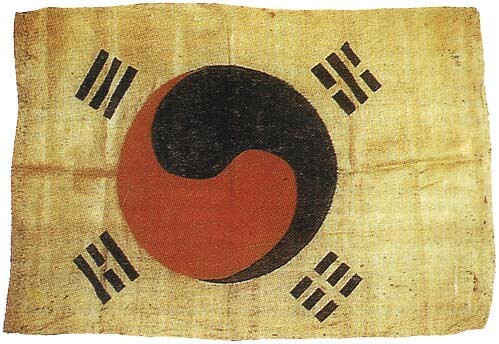 However, the middle class who were discriminated against from the mainstream elite waged a campaign against the rigid social system to upgrade their social status through the “Tongcheong Movement.” They urged the government to open key positions to them and raised funds from 1,670 people and tried to improve their social environment by appealing directly to the king with a letter. 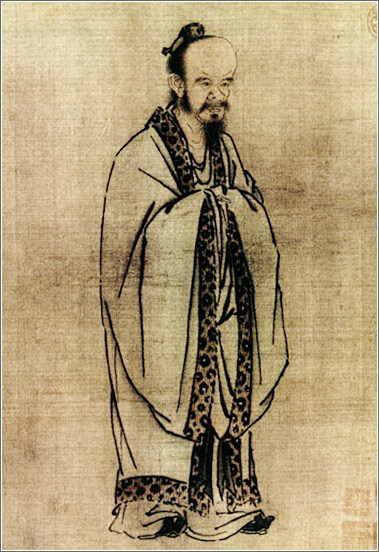 Their activism contributed to the process of modernization of the Neo-Confucian state in the late Joseon period. Let's face it, the much-maligned "middle class" is the most creative and vital force in just about any society. The Beatles Perform "Let It Be"
We've moved from P'ohang to Ulsan, to the in-laws', to save half-a-month's rent before we make the big and, God willing, permanent move to the Town of Pittsford. Today, I drove the hour-and-a-half back to clean out my office. The drive up was dismal, for the task I faced and for the fact that I had already cleaned out my Hyundai Trajet of everything, including its music. I even detoured through downtown Kyŏngju in hope of finding a CD shop, to no avail. Fortunately, I found two CD's at my office worth salvaging. The Beatles 20 Greatest Hits and Dmitri Shostakovich's heroic Leningrad Symphony: A Symphony of War were my choices. I chose the former. While listening to the first song, that posted above, for the second time, my mind wandered. I thought of how John had been mt first favorite Beatle, when I was young and rebelious. As I sought spiritual fulfillment in my twenties, George took over. In my thirties, as I became a family man, Paul was top dog. Now in my forties, my favorite Beatle is none other than Sir George Martin. I pressed the "repeat" button and then listened to the familiar lyrics. The Blessed Virgin Mary came to mind, and I pulled the beads from the rear-view mirror, turned off the music, and prayed the Most Holy Rosary of the Blessed Virgin Mary. I recalled that it was Our Lady of Fátima whose intercession secured me the job in America. Then, remembering that a large portion of the students I will be serving will be Saudi, Father Ladis Cizik's "look at Islam, the Koran and Mary's role in bringing about peace in troubled times," came to mind — Our Lady and Islam: Heaven's Peace Plan. Right now, I'm doing something I've never done before; I'm reading a book by an evangelical. Nancy Pearcey's Total Truth: Liberating Christianity from Its Cultural Captivity was given to me as a farewell gift by an evangelical graduate student in Bioinformatics whom I've been tutoring for free for more than three years. Never one to look a gift horse in the mouth, and needing a good book to read, I picked it up immediately, and have not been disappointed. "Your earlier book says Christians are called to redeem entire cultures, not just individuals," is the Catholic thought with which the book begins. She approvingly quotes a number of individual Catholics, from St. Paul to St. Augustine of Hippo to St. Thomas Aquinas to G. K. Chesterton to Jacques Maritain to Mary Ann Glendon. As I've heard it conceded, "There are Christians in the Catholic Church." She does, however, attempt to suggest that it was Holy Mother Church who brought about the whole dichotomy between the religious and secular world that we see today, in which religion is relegated to the private sphere. It was not us Catholics, of course, who came up with private judgment. Despite this and other lacunae, her book is a valuable one. It has given me an insight into an intellectual evangelicalism that I had not known existed, growing up in region where the majority were Catholic and the minority Mainline Protestant. More importantly, however, it has shown me the importance of returning to America equipped with the proper Weltanschauung to engage the cultures at large and at small that I will face. Ironically, Pearcey's worldview, the concept she stresses, is imcomplete. Ours is catholic, "from the whole." With my Islamic students, I will have a common point of reference, not even mentioned once in Pearcey's book, bout which one Hesham A. Hassaballa hails — Love for the Virgin Mary runs deep in Islam. Sandro Magister has the skinny — "Non Prævalebunt." How and Why Benedict XVI Is Standing Up to the Attacks. "In the heart of this summer, the attacks against Benedict XVI have suddenly picked up steam again, from outside and inside of the Church.... What ties all of these attacks together is the pressure to make the Church conform to the practices of the modern democracies, and imitate the dominant cultural currents." The apologist says that the candidate "passes the Minimal Decency Test by not asking me to support something I believe will make me worthy of the Everlasting Fires of Hell (which is, you know, what 'gravely and intrinsically immoral acts' like abortion and torture do)" — A Question About Ron Paul.